Begin field experience right away. Our dedicated staff and faculty mentors keep you on track with your professional goals. Graduate in 4 years with a Masters! In the UP School of Education, we believe that good teachers open doors. They shape futures. They help others to realize their potential and achieve their dreams. Our nationally accredited program emphasizes effective practice, reflective teaching and leadership, within a framework of deep field experience and student teaching. 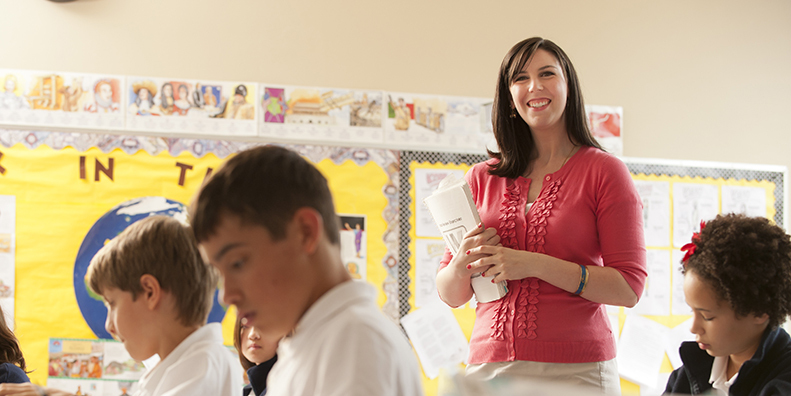 Becoming a teacher at UP is made affordable in a variety of ways. We work hard to plan your graduation in four years. Whether you intend to double major, add a minor, or study abroad, the staff and faculty meet with you each semester to chart your path, avoiding additional and costly years of study. The University offers a range of tuition support, working with each applicant to develop a financial aid package early in the acceptance process. Reach out to our admissions staff, set up a campus visit, or get in touch with the School of Education. We can't wait to hear from you! The Bachelor / Master of Teaching 3+1 pathway supports exceptional undergraduate students who seek to accelerate their studies and earn both bachelors and masters degrees in only four years. This pathway combines a rigorous undergraduate curriculum with our state (TSPC) and nationally (NCATE/CAEP) accredited Master of Arts in Teaching graduate program. One of the first of its kind in the Pacific Northwest, this pathway offers students the benefits of both programs, and prepares individuals for careers as elementary or secondary school teachers, eligible for licensure at the end of the pathway's fourth year. Education majors at UP may combine a teaching degree with a second major and minor to enhance their teaching practice and broaden their career options. Early childhood and elementary education majors enrolled in the bachelor of arts (BA) program might combine degrees in Spanish or other foreign languages. Those wishing to teach in middle school and high school and enrolled in the bachelor of science in secondary education (BSSE) program often double major in languages, the sciences, history, psychology and a host of other majors. Our dedicated support staff and faculty mentors work with you to plan your studies and keep you on track with your professional goals. 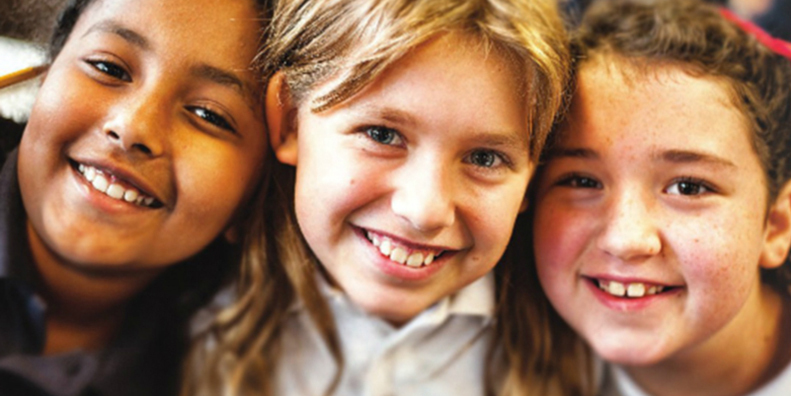 In 2010, the School began a partnership with Open School and Roosevelt High School. Education majors are mentors and tutors for the Step Up program, which helps middle school students successfully transition to high school. Many education majors complete additional volunteer work, and the Moreau Center is a great resource. 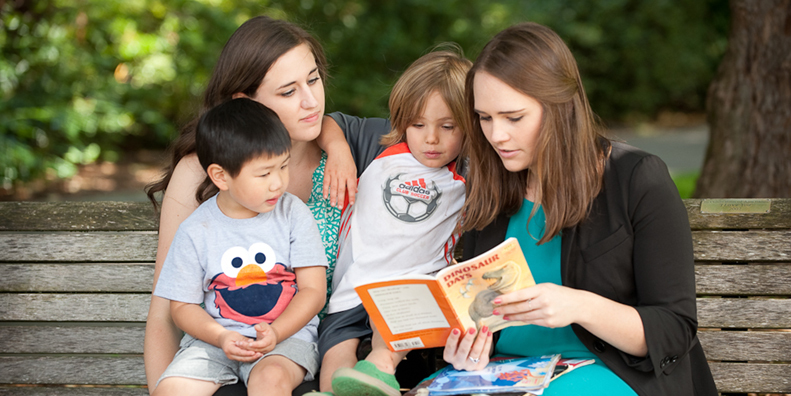 The education honor society, Kappa Delta Pi, sponsors the annual School of Education Reading Fair, bringing more than 500 children to campus for a day of literacy, arts and creativity. One hundred percent of all graduates in the School of Education have earned their teaching licenses by passing the CBEST, ORELA, and the PRAXIS tests, and are deemed highly qualified under specification of the federal act, No Child Left Behind. Our faculty, all experienced educators, remain active in the classroom, have contacts throughout the area, and work hard to help seniors obtain their first jobs. In recent years, at least 80 percent of our graduates take charge of their own classrooms the following fall. An Oregon teaching license enjoys reciprocity in 32 states. A special international studies program for education students is available during the fall semester in Fremantle, Australia. In that stunning west coast port city, you can take classes in education and work with children in local classrooms. Students who double major or minor in Spanish often spend a semester or summer in Spain during the sophomore year. Some education majors have participated in the Salzburg, Austria, program, while others have discovered international learning opportunities through the Moreau Center for Service and Leadership. Click here to learn more about our NEW Quito, Ecuador summer program!